Hand burned star shaped pendant, with oak leaves and ribbons, perhaps handfasting ribbons? Burned using pyrography and coloured using inks, prismacolor pencils and posca pens. I can do custom pendants, so get in touch if you'd like something specially created. Pyrography is the art of burning an image onto a piece of wood or leather using a hot wire. 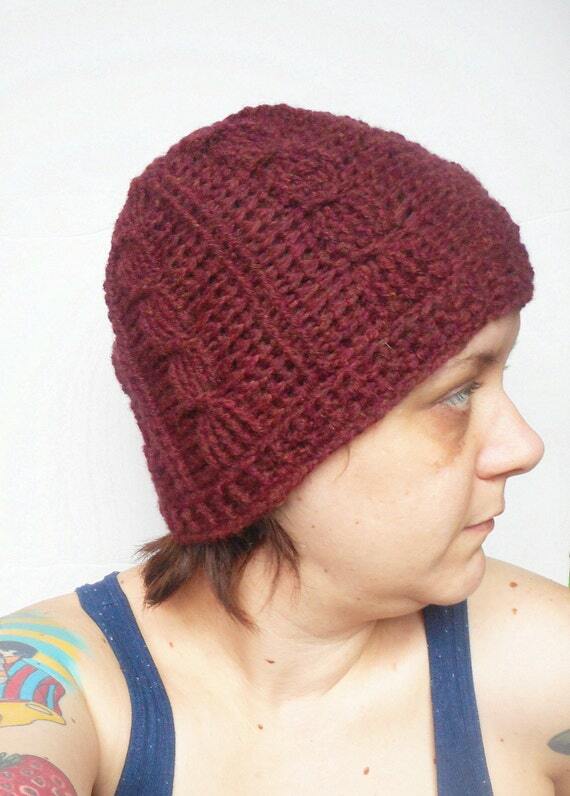 Cabled Crochet Beanie Hat in Chestnut. Crochet cable stitch beanie hat, crafted from premium acrylic and wool blend yarn in chestnut (burgundy reddish brown). 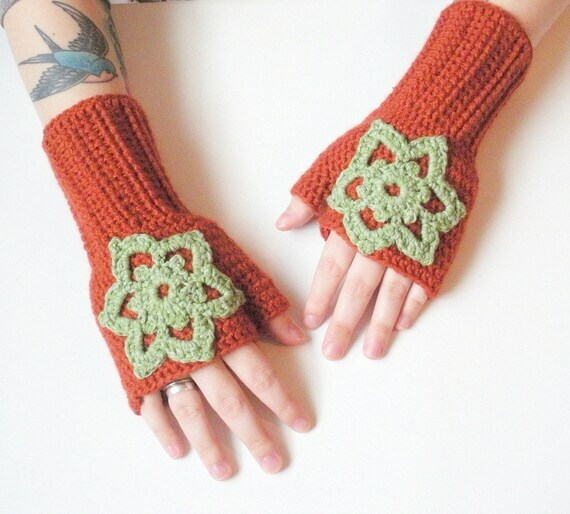 Created free form in a textured alternating cable stitch and ribbing pattern. Finished off with a ribbed band. 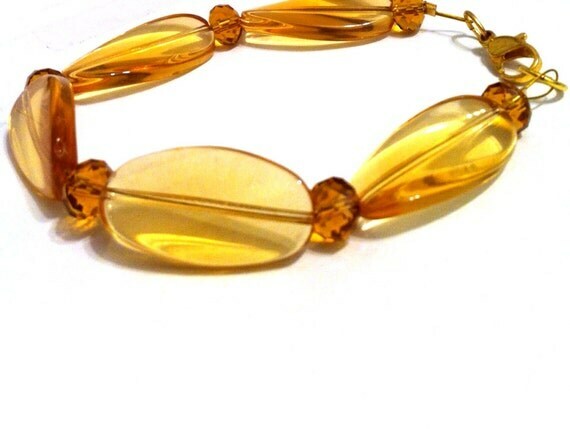 Design and color scheme makes this a great gift for men or women. 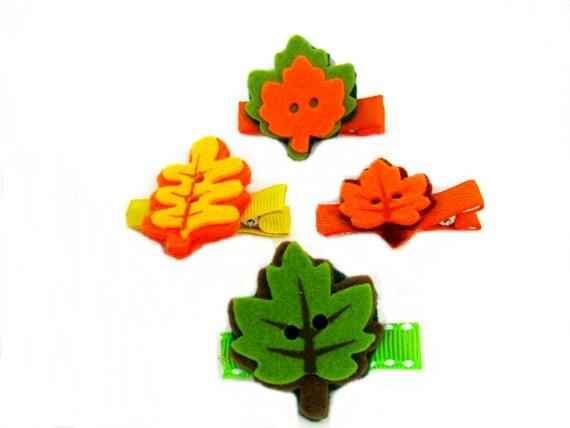 Baby girl hair clip set includes 4 felt leaves in bright Autumn colors. Each hair clippie is made with alligator clip with no slip grip. These will stay put in thin hair and help to hold wisp of hair in place. Pretty jewel tone colors of Swarovski crystal were combined with antique silver and sterling silver. The antique silver bead has great texture along with the filagree antique silver bead caps. 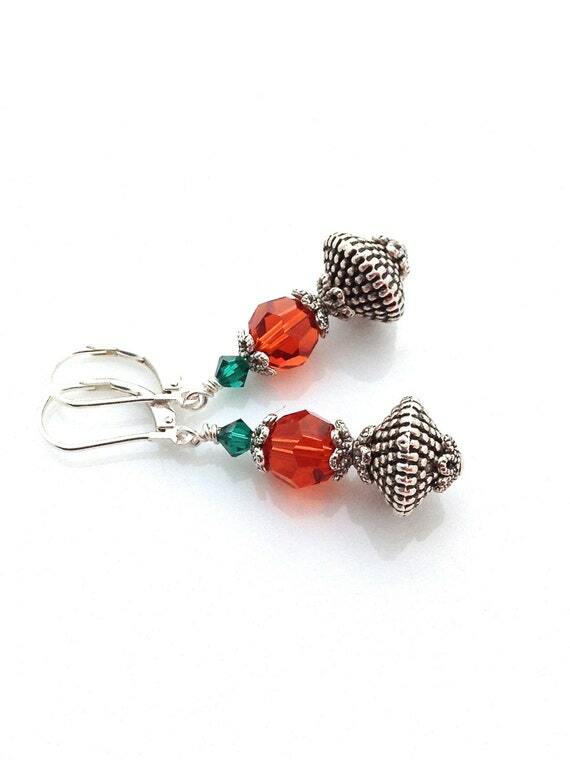 Rich orangey red and emerald green Swarovski crystals will look pretty with your Fall wardrobe.